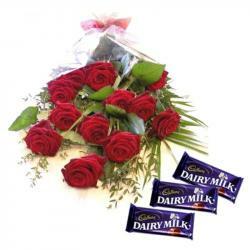 Product Consists : Bouquet of 6 Red Roses, 1.5 Kg Heart Shape Chocolate Cake along with Valentine Greeting Card. 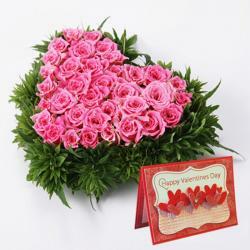 Valentine is the most precious for occasions for couple. The heart shape cake that we have here is just perfect to make any occasion full of delight and happiness. It is crafted in heart shape of some floral design on it. 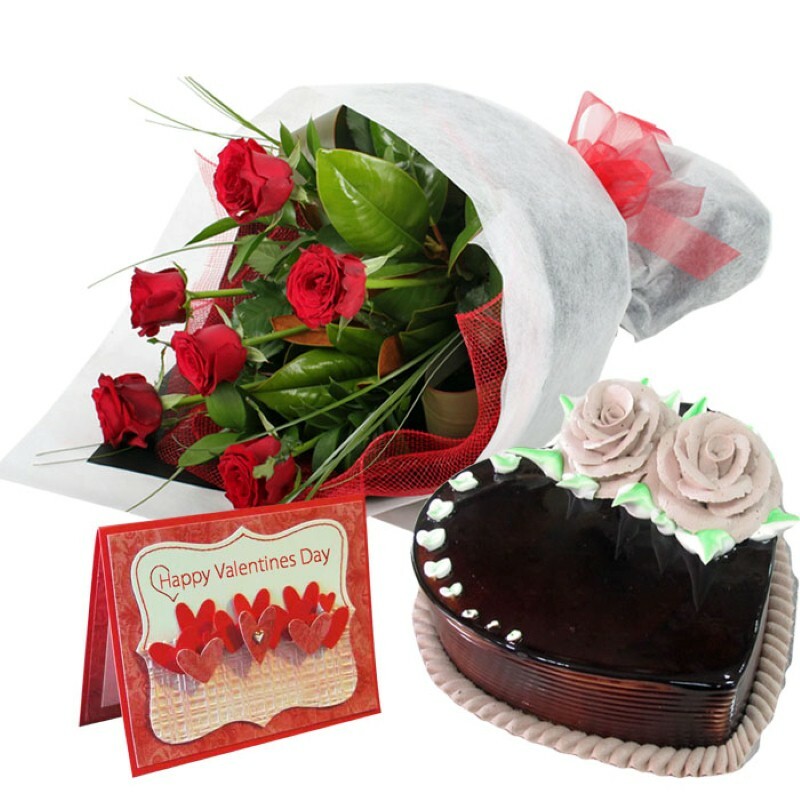 This season of love, gift your valentine sweetheart with 1.5 Kg Heartshape Chocolate Cake, 6 Red Roses Bouquet along with Valentine greeting card will be a perfect gift on this Valentine Day. Heart Shape is garnish with some floral design on it. 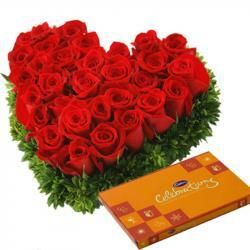 Red roses are the symbol of love it can be used to propose to your love ones. The red colored roses bouquet with the greens fillers make this flowers arrangement more exotic and beautiful with the greeting card. 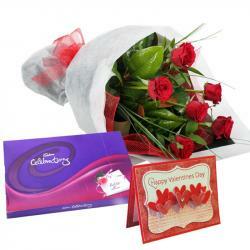 Product Includes : Bouquet of 6 Red Roses, 1.5 Kg Heart Shape Chocolate Cake along with Valentine Greeting Card.